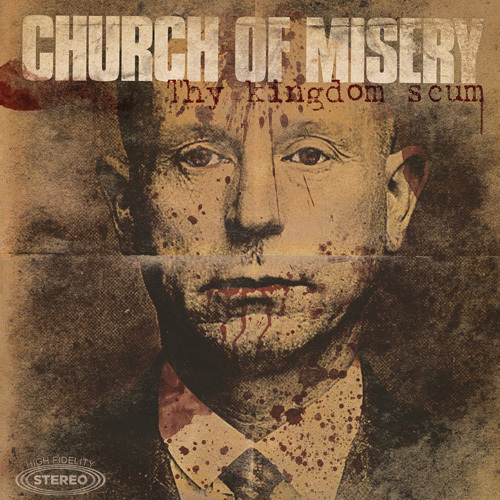 The U.S. government screwed us outta seeing Church of Misery this year, which is truly a shame after such an awesome album. Always been a fan of these serial-killer doomsters, who inject an unhealthy amount of groove courtesy of bassist Tatsu Mikami. And man, Thy Kingdom Scum has everything: mass murderers, distortion pedals, a cover of early 70s outfit Quatermass… Like I said when I first reviewed this thing, Church of Misery out-Sabbaths the new Sabbath record, and it’s not even close. A concept album exploring themes surrounding Japan’s suicide forest, Thrall’s Aokigahara Jukai is rich in an elegance belied by its violent, misanthropic intent. Sprawling waves of isolation, loss and loneliness spiral downward, but with an unnameable beauty permeating throughout. It’s an obscene juxtaposition, but there is beauty to be found among the ugly – Aokigahara Jukai is life-affirming in the face of death. Since the release of their self-titled debut in 2008, Toronto’s Blood Ceremony have been steadily developing their own brand of occult doom rock to an ever-growing audience. Enchanting female vocals, Sabbathian riffs and assertive flute passages come standard with any Blood Ceremony release, and while this album definitely retains these same telltale characteristics, they seem more richly textured this time around. 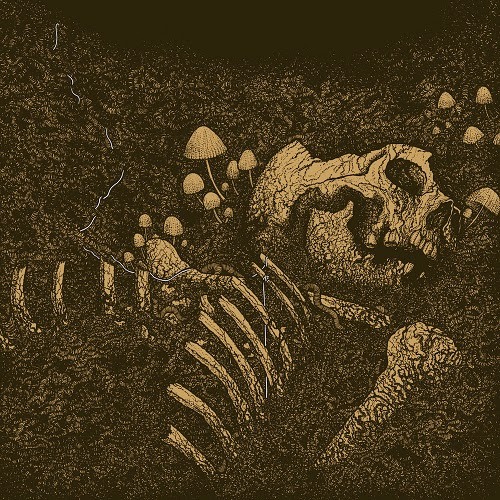 Tracks like “Lord Summerisle” and “Witchwood” sound joyously medieval while the violin in “Ballad of the Weird Sisters” provides yet another harmonious layer to the band’s repertoire. 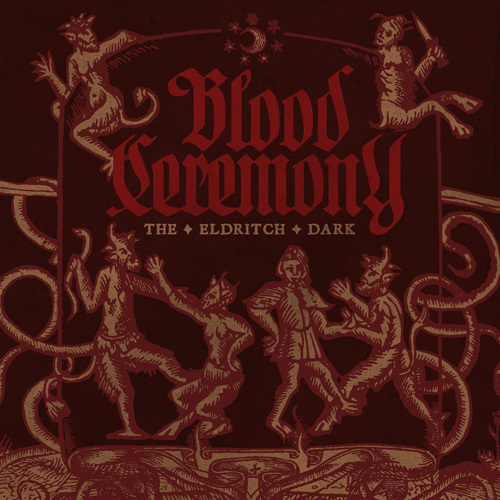 At its best, The Eldritch Dark shimmers with memorable moments of ’60s-inspired occult rock brilliance. If potential had a sound, this is what it would sound like fully realized. 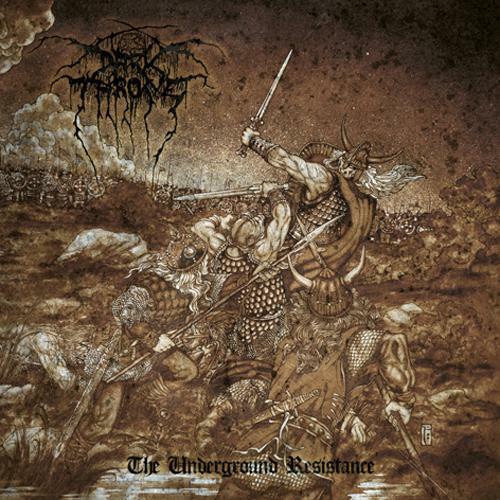 The tone of vintage revival that tinges The Underground Resistance is a distinct facet in music released by Darkthrone over the last few years. Fenriz’s signature snarl and simplistic beats drive the record at a moderate pace while Nocturno Culto’s classic riffs stay sharp. The duo merges thought patterns with creative control by balancing an equal number of tracks reflective of personal taste, but you would never notice, as the transition is flawless. The super melodic, full sound on “Lesser Men” is overpowering, while Darkthrone’s transgressive nature with elements of black, thrash and classic metal is shown on “Leave No Cross Unturned.” With raw punk attitude and a thirst to render diverse sounds, these progenitors are doing just that, one crucifix at a time. 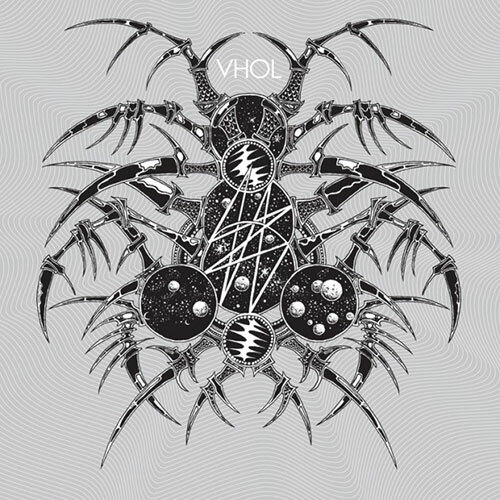 Featuring members of Agalloch and Hammers of Misfortune, the first effort from California’s VHOL is a 47-minute web of intricate melodies interwoven with razor sharp riffs. Having devoured the final offering from Ludicra, and also with the indelible memory of seeing Aesop Dekker perform live with both Worm Ouroboros and Agalloch, I wasn’t coming into this listening blind. I knew that I was going to get epic crescendos of harmonizing screams and had a suspicion that those would be contrasted with effortless switches between equally headbangable rhythms. Even the cover art of this album speaks of exactly what you’re going to get: vicious and aggressive, like a multi-legged bladed creature. Yet there’s something more, worlds more in fact, within the surface aggression of this album. Mounting tensions and wails giving way to galloping, triumphant returns (“Arising”) and those wails becoming feverish shrieks atop Dekker’s furious drumming (“Plastic Shaman”), it’s hard to keep the volume down through these seven tracks. Vhol has that special flavour which is a blend of psychedelic, black metal and thrash – complex, aggressive as all hell and beautiful like the vastness of space. By the time the very final outro (“Songs Set to Await Forever”) stamps its eerie mark, I’m left feeling anxious for another run through, and so eager to hear what comes next from this totally-not-a side project. It’s been an unusually long four years since Clutch last released an album. But with Earth Rocker they made the wait more than worthwhile. 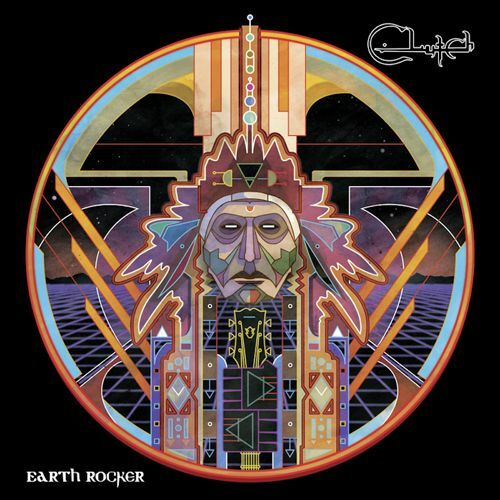 Earth Rocker is faster, more aggressive, more rockin’ than we’ve heard Clutch in a while yet they still bring that blues influence. For a band that’s been at it for over 20 years now, touring as much as they do, to produce a record this full of energy is pretty remarkable. It doesn’t take long for Earth Rocker to hit “crucial velocity” as the album blows out of the gate and keeps its head down save for the low key “Gone Cold.” Touring with Motorhead and Thin Lizzy paid off in spades as Clutch took their rock ‘n’ roll energy and carried it over to the new record while still maintaining all the touchstones that make Clutch who they are. This is pure rock fury. 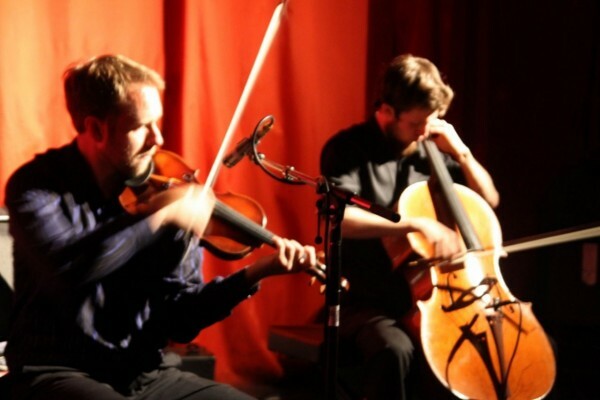 Until 2013 SubRosa used their unconventional set-up – two violins to go along with guitar, bass, and drums – to create impressive, but fairly conventional doom metal. That all changed with More Constant Than the Gods, as the Salt Lake City band came into its own, learning to put that unconventionality to brilliant use, as violinists Sarah Pendleton and Kim Pack provide a great deal of mood as well as melody, producing haunting drones and unsettling moments of atonality. 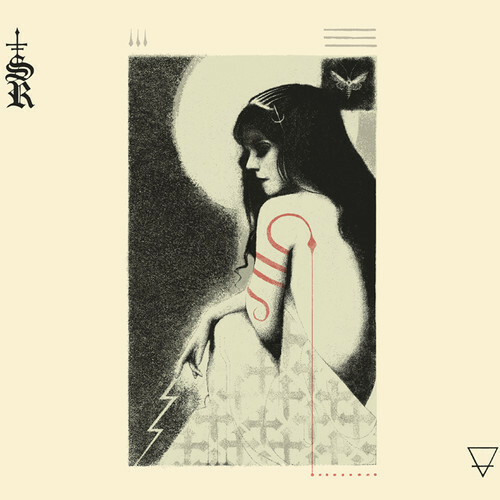 Coupled with songs that mine doom, goth, and the dark side of Americana, SubRosa has made the jump from promising upstart to an original voice in American metal. 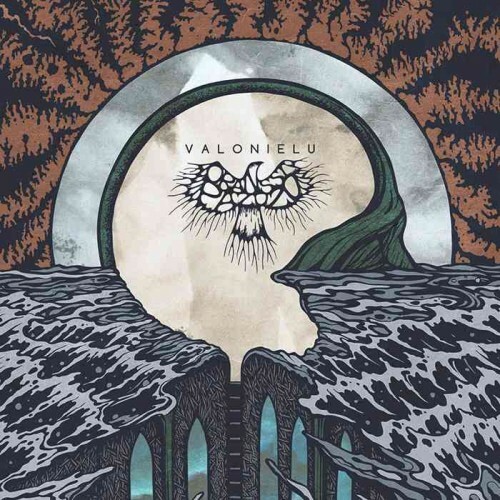 Valonielu, the third album from Finnish astronavigator Oranssi Pazuzu, features a genre-bending and heavily lysergic collision of black metal and space, progressive and Krautrock. It is the equivalent of depositing yourself in a grimy spacesuit, loading up on magic mushrooms, and dancing round the ritual fires deep in the misty woods while contemplating matters corrupt and cosmological. Oranssi Pazuzu strips black metal back to its skeletal roots on Valonielu, wraps bitter sheets of riffing in heavy doses of psychedelia, and the result is idiosyncratic tunes borne on unorthodox trajectories – all encircled by ice-cold malevolence. Valonielu is, unquestionably, Oranssi Pazuzu’s best album yet, securing the band’s place as one of metal’s most important and adventurous explorers, and underscoring that outer-limits experimentalism can be wholly eccentric and utterly engrossing. Gorguts is anything but run-of-the-mill, and with the much-anticipated release of Colored Sands, they’ve yet again pushed the envelope right off the table. As the band reunited for live performances and the new release’s writing, mastermind and sole original member Luc Lemay recruited a star-studded line-up: Origin’s drummer John Longstreth, and guitarist Kevin Hufnagel and bassist Colin Marston, both of Dysrhythmia. 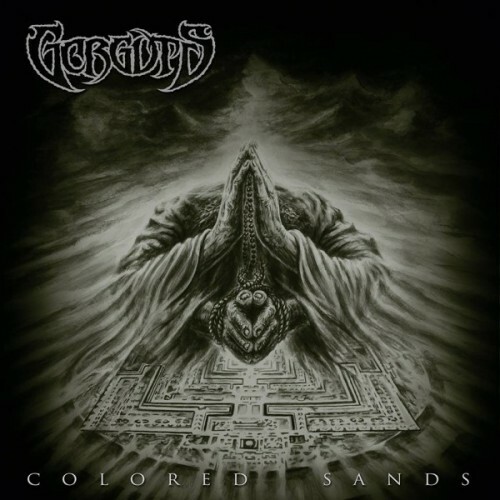 And with Colored Sands, Gorguts capitalizes upon each member’s significant musical prowess in a spell-binding, progressive songwriting effort that sees the band carry forward From Wisdom to Hate’s atmospheric leanings. On every track, riffs and song structures wind up and unravel to the point where it seems as though everything is going to fall apart at the seams, only to reveal themselves as components of a greater whole that has rhyme, reason and purpose. It’s complex, fearless, powerful, forward-thinking, ambitious and passionate. Yet again, Gorguts lives up to the hype. It was a thrill to watch Anciients on the rise throughout 2013. From tours with TesseracT, Death (Official), and Lamb of God to an invitation to play Roadburn in 2014, it was clear that the Vancouver quartet had arrived. Their calling card, of course, was their magnificent debut album. Heart of Oak sings with style and confidence. Each of its nine tracks reveals an innate understanding of how epic metal songwriting works. It’s fun to imagine them in a makeshift lab in some desolate Quonset hut feverishly distilling their sound from casks labeled “Opeth,” “Mahavishnu,” “Celtic Frost,” and “Thin Lizzy,” but the truth is, there are no shortcuts in heavy metal. 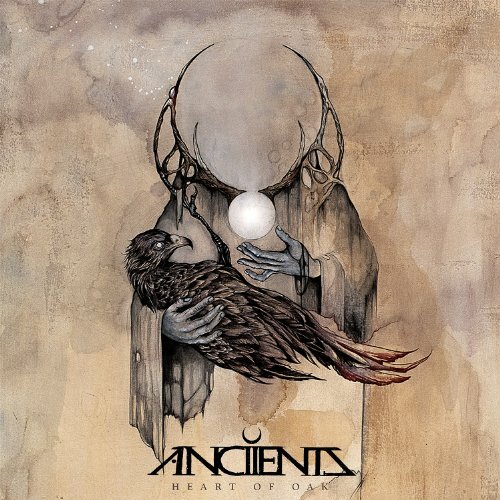 Anciients had the inter-band chemistry, taste, and, most of all, the work ethic to lay this record down, get it oh, so right the first time, and proceed to take on the world. 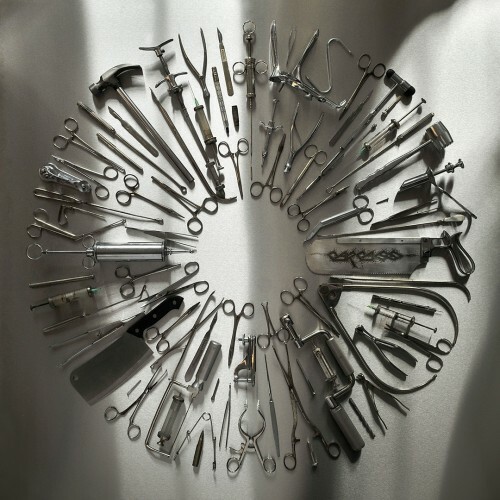 Surgical Steel is #1 not only because the production is tight as a… well, use your imagination here, but it’s crisp and finely detailed without any missteps, as the opener “ 1985” ferociously charges out of the gate and the album keeps your adrenaline pumping right to the closer, “Mount of Execution.” Walker’s brittle rasp matches the grim lyrical content – violent and overtly political – but unlike many death metal bands that don’t walk the walk, the sagacity through age makes his lyrics more visceral. One of the highlights of Surgical Steel is drummer Dan Wilding (Heaven Shall Burn, The Order of Apollyon) whose rapid-fire execution pushes the band faster – and dare I say, helps introduce Carcass to those who dismissed the band after years of reunion gigs, and a fine introduction to fans too young to remember their first incarnation. Is the album perfect? One could argue that Walker’s bass could be higher in the mix, but overall, it is a death/grindcore masterpiece that competed and, in many cases, simply surpassed many of the albums performed by musicians half their age that were released in what was overall, a pretty impressive year for metal.